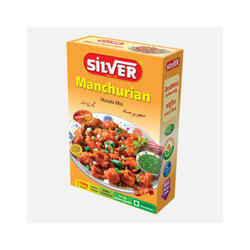 A mix of spices used in preparing all kinds of manchurians like gobi, Paneer, Mixed vegetable or mushroom. Chicken Manchurian Masala is prepared from an amalgamation of rich spices. The process mixes the spices to ensure unique flavur, rich color and optimum taste. This mix of selected spices add extraordinary taste to the dishes. It is one of the most preferred mixture of masalas used prepare chicken Manchurian. 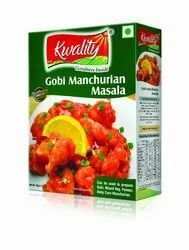 - SRR gobi manchurian masala.100g of this pack. - Ginger–garlic paste 20g. 3) cauli flower (medium size), 4) oil to (deep) fry.